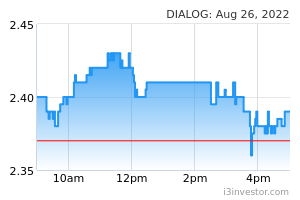 KUALA LUMPUR: Dialog Group, Hartalega Holdings and Malaysia Airports are potential inclusions in the 30-stock FBM KLCI under the upcoming semi-annual review of FTSE Bursa Malaysia Index Series. CIMB Equities Research said FTSE Russell is due to announce the results on Thursday. The review will be using market capitalisation data as at May 21, 2018 (or the data on Monday four weeks prior to the review effective date). All constituent changes in the review will take effect on June 18, 2018. This review is closely followed by the market as it could have an impact on KLCI index-linked products like FTSE 30 ETF & KLCI index-linked funds. 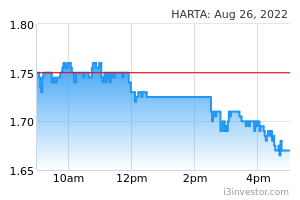 “As at May 21, 2018, we found Dialog and Hartalega Holdings in the 24th and 25th rankings, respectively, which would qualify both companies for insertion into the KLCI index,” it said. To recap, CIMB Research said the FTSE Bursa Malaysia index ground rules stipulate that: 1) a security would be inserted in the FBM KLCI during the periodic review if its market cap has risen to 25th position or above among the eligible main market securities, and 2) a security would be deleted at the periodic review if it has fallen to 36th position or below among the eligible main market securities. Where a greater number of companies qualify to be inserted in an index than those qualifying to be deleted, the lowest-ranking constituents presently included in the index would be deleted, according to the ground rules. 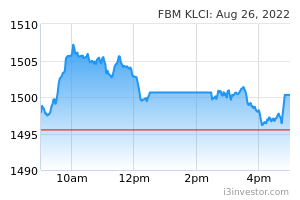 CIMB Research said however, three of the current KLCI constituents – AMMB Holdings, Astro Malaysia and YTL Corp – have fallen to the 36th, 38th and 44th positions, respectively, and will most likely be deleted in the periodic review. “The rules specify that should a greater number of companies qualify to be deleted in an index than those that qualify to be inserted, the highest-ranking constituents that are not in the index will be included,” it said. 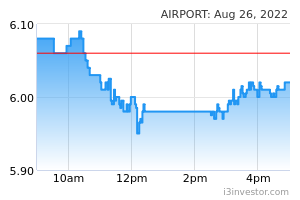 Based on this, its analysis reveals that Malaysia Airports will most likely be the third stock to be included in the index following the recent review.